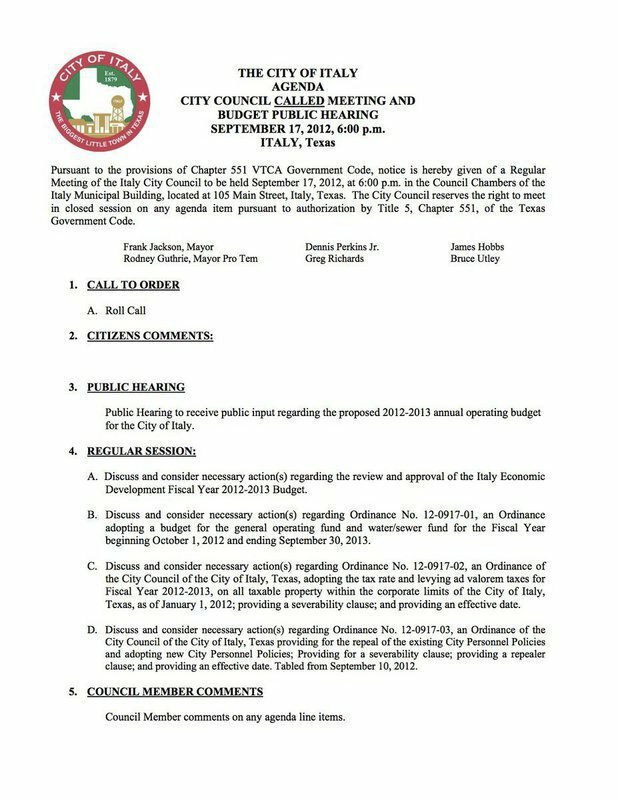 The Italy City Council will have a called meeting on Monday, September 17, 2012. The meeting will be held in the Italy Municipal Building’s Council Chambers at 105 West Main Street in downtown Italy. 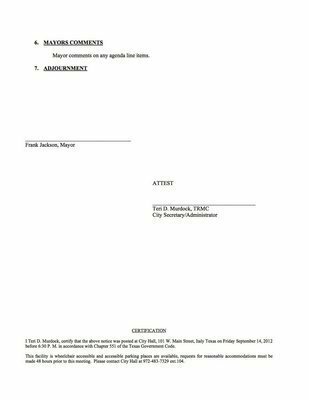 The meeting will begin with a public hearing regarding the city’s proposed 2012-2013 annual operating budget and will continue on with several agenda items pertaining to the budgets, tax rates and personnel policies. The meeting is open to the public and everyone is welcome to attend.